If you don't know this brand for nail polish, it's time to change that. You won't be sorry. Hiya friends! 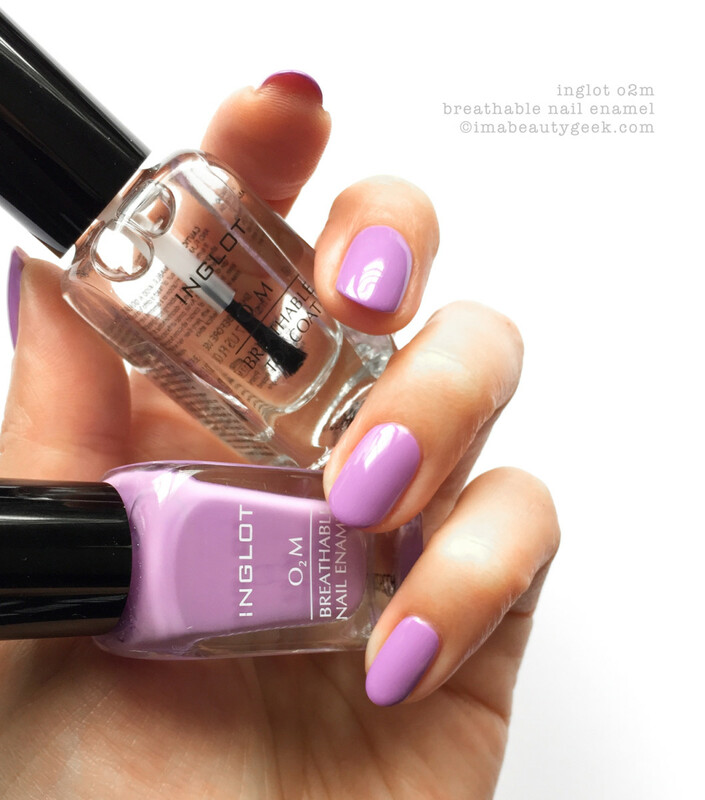 It’s swatch time again and today, it’s a brand I’ve wondered about for a long time: Inglot O2M Breathable Nail Polish. I admit the first thing that grabbed me was the tidy little bottles and the vast array of shades. Let’s take a look and I’ll give you the skinny after, k? 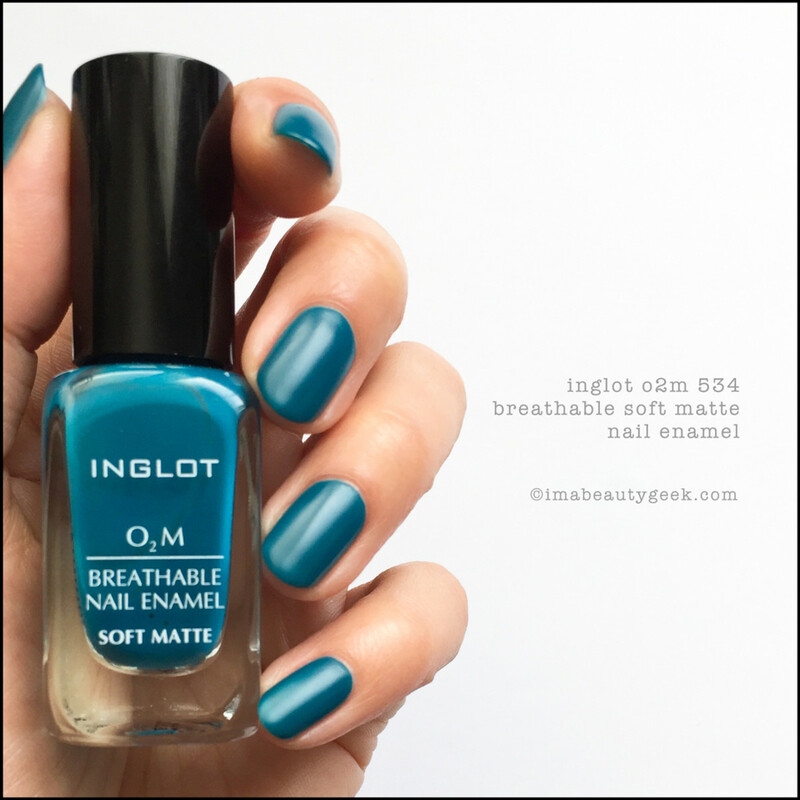 Inglot O2M 693 Breathable (above). I know, right? Stunner. That’s 2 simple coats plus top coat and it’s wickedly saturated. Do Fall shades get any better than this? I think not. 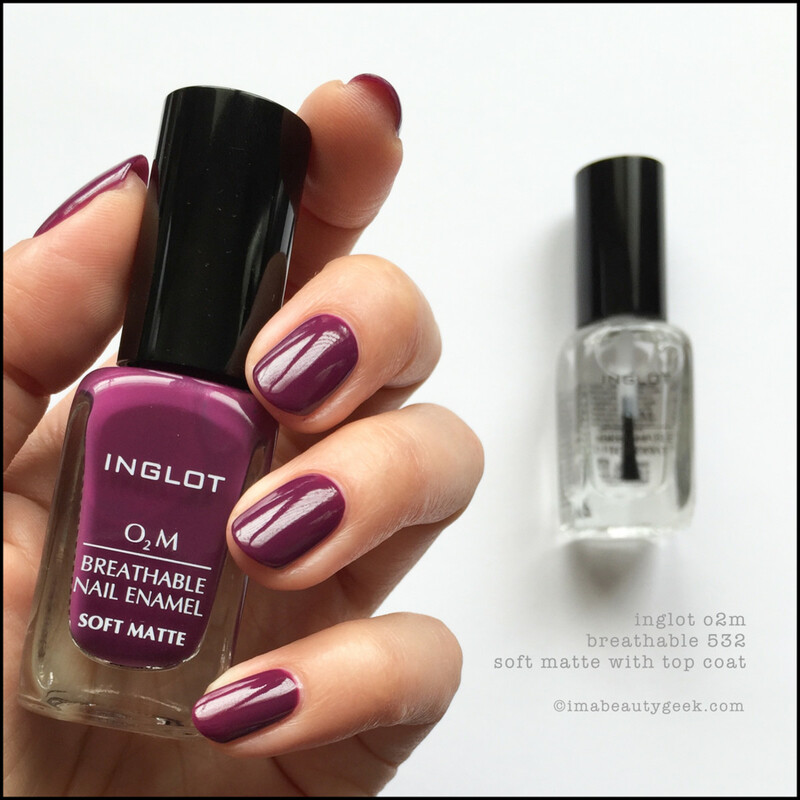 Inglot O2M 532 Soft Matte with Top Coat (above). Wow. Just wow. Hard to believe it’s the same polish, isn’t it? I’m happy dancing over here! Inglot O2M 534 Soft Matte (above). Interestingly enough, I like this matte shade a whole bunch more than the last. I think maybe the last one pulled Lobster on me. This one totally doesn’t. 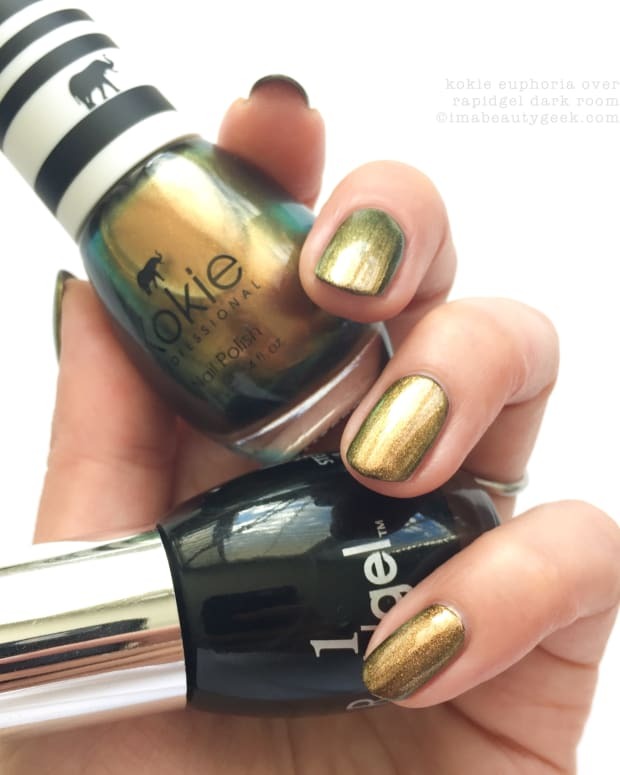 It’s two coats and the formula… just like regular polish! So easy! Inglot O2M 534 Soft Matte with Top Coat (above). Sometimes words escape me. It’s a perfect peacock teal. And the shine from the top coat? Crazy! 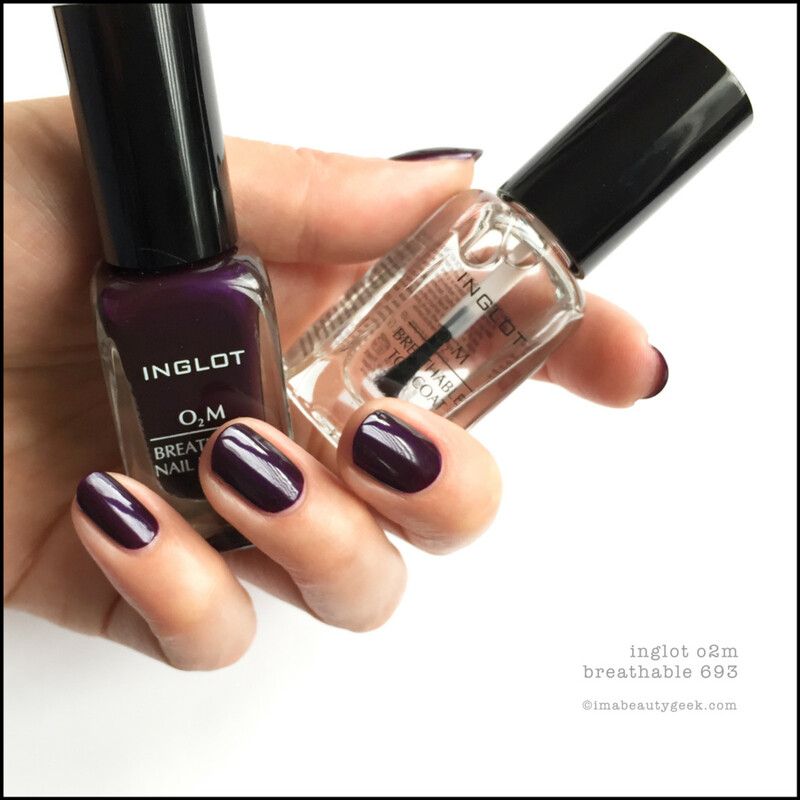 Inglot O2M 686 Breathable with Top Coat (above). I can’t even. Two coats + top. Seriously, what can I say that the photo doesn’t? Nuthin’. And like all of my shots, that’s natural light with no light box and no Photoshop – but you knew that, right? 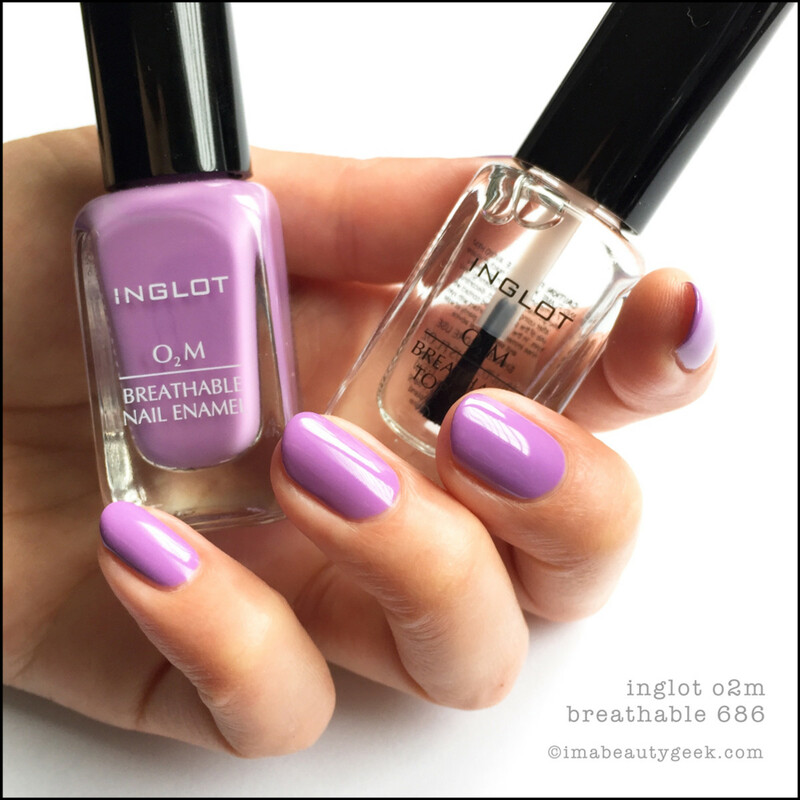 Inglot O2M 694 Breathable (above). Two coats. Two really, really easy coats. It’s such a treat for me to sit with something I haven&apos;t tried before and love everything I use. It doesn’t happen often. Inglot O2M 694 with Top Coat (above). Whatta shine!! Gah!! 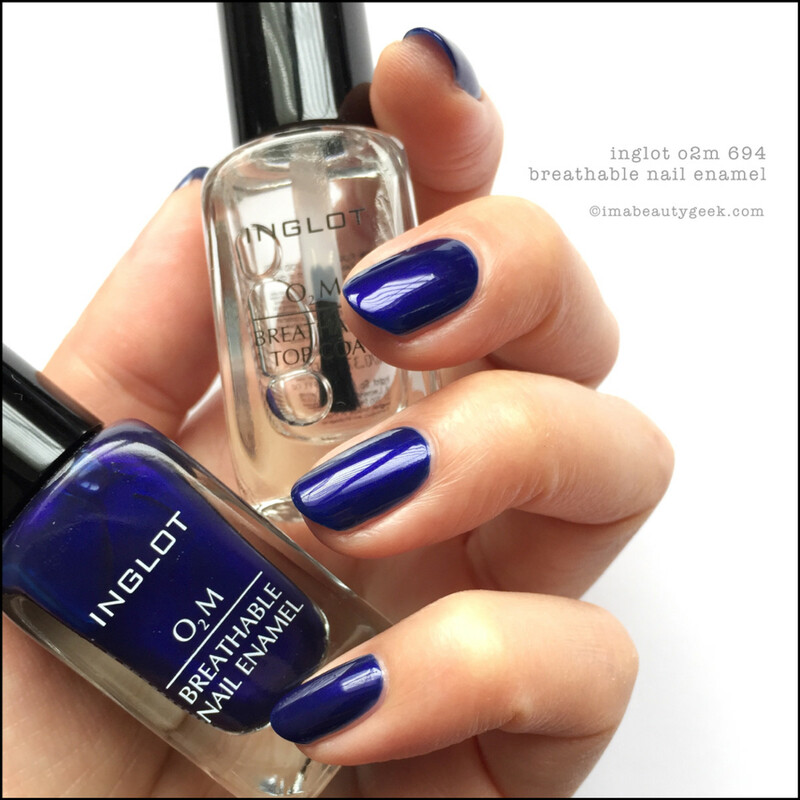 Inglot O2M 640 Breathable (above). #GimmeThat. Sadly, that’s it. I wish more had landed on my desk. I could have swatched this stuff for days. Each successive swatch brought a big smile. The super-saturated shades, the formulas, the application, so good! And what’s the Inglot Breathable skinny? Well, it’s “nail enamel that allows water and oxygen to pass through thanks to its special ingredient – a highly advanced polymer. The product helps keep the nails in the best condition while wearing nail enamel. Use with O2M Breathable Base to improve application of the nail enamel. 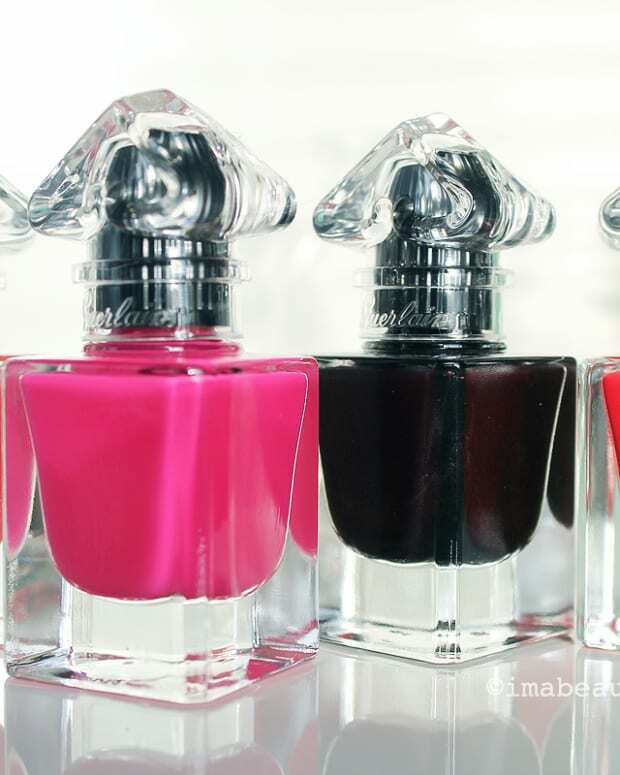 To prolong life of the nail enamel, cover with a layer of O2M Breathable Top Coat. Both products also ensure air and water permeability.” (There&apos;s a permeability-test video embedded in this Inglot post.) Also, the formula is 4-free. 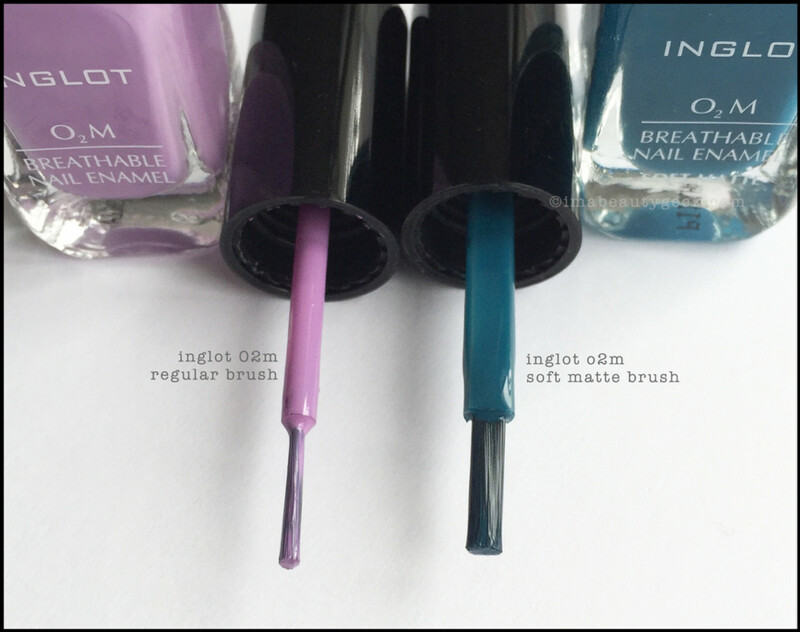 Brush differences between regular & matte - smart Inglot. Ooh! I forgot! (thanks for the reminder, MAE!) Lookit that! Inglot knows matte shades require different brushes (above). A brand that pays attention at the consumer end? So freakin&apos; amazing. Thank you, Inglot. Thank you for caring enough to give me the right brush in the right polish. That little stroke (ha! see what I did there?) of genius has secured you a place in my polish-loving ❤️. For more information & pricing, visit inglotcosmetics.ca.